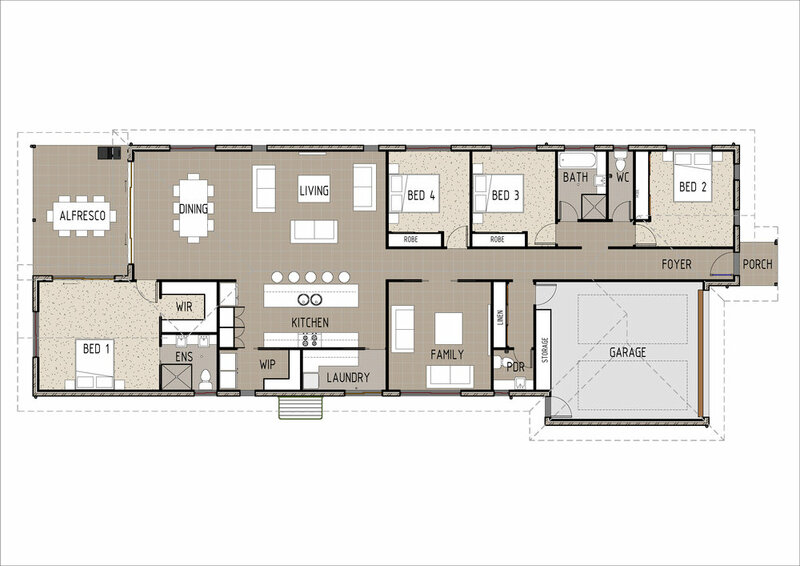 This is a larger four bedroom version of our T3005 design. Entering the home you will find three bedrooms and the main family bathroom on your right, powder room and linen cupboard on your left. Further along is a separate family room which can be closed off from the rest of the house - perfect for use as a media room or kids play room. You will then enter into the open plan kitchen, living and dining area with the kitchen featuring an island bench and good sized walk in pantry (plus additional storage cupboards along the left wall). 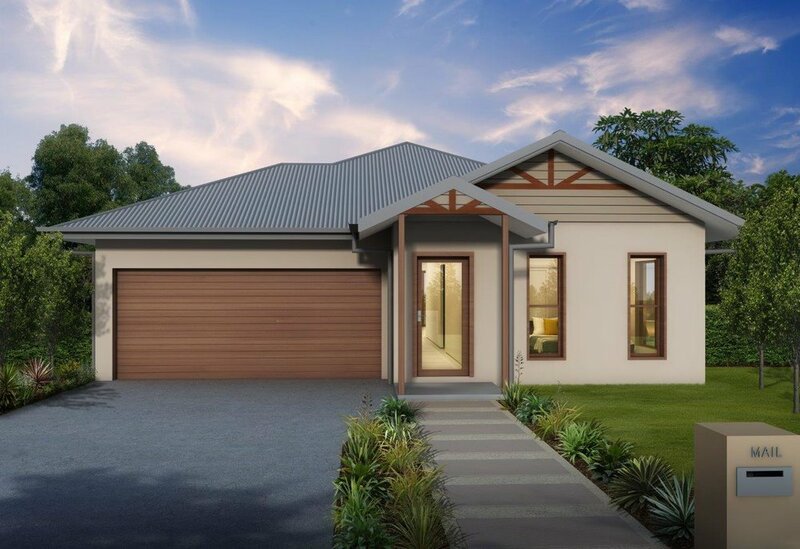 The master bedroom can be found at the rear of the home and includes both a walk in robe and private ensuite. Access to the outside alfresco is via the dining room and the master bedroom.